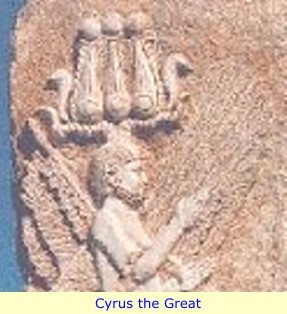 When Cyrus II (Cyrus the great), ascended the Persian throne in 559 B.C. He would be like all others – sooner or later – his eyes would turn westward – toward Egypt. And so it was that Cyrus, by the time of his death in 529 B.C, together with his son Cambyses II, had already completed their plans for a successful assault on Egypt. So after Cyrus had died and Cambyses had become king, Cambyses launched his invasion of Egypt, and it was indeed successful. The Persian kings constitute the 27th dynasty of Egypt. However over time, dissension at home among the Persians, and various Persian palace intrigues, provided an opportunity for one "Amyrtaios", to take the throne of Egypt. He is believed to have expelled the Persians from the entire country. He was the only ruler of the 28th Dynasty, and he is thought to have been a Libyan, as are all the rest. He ruled Egypt from Sais for six years. His reign however, was unstable and he was removed from the throne by Nepherites I, who stabilized the country. Nepherites I, thus became the first ruler of the Twenty-ninth Dynasty. Nepherites I, had sent a gift to the Spartans after an allegiance had been entered into with Sparta against Persia. The gift was taken by the Persians after the ships from Egypt were captured as they approached Rhodes. The Egyptians did not know that the Rhodians had defected to the Persians. The 29th and 30th dynasties are much the same, various obscure rulers, from various places. But since this marks the end of Dynastic Egypt, lets hear from its last kings. Nectanebo I was the first ruler of the Thirtieth Dynasty and was a general from Sebennytus. He is thought to have been related to the family of Nepherites I. He imposed heavy taxes on the people of Egypt in order to finance Egypt's war with Persia. In the spring of 373 B.C, the Persian army moved in to attack Egypt. They got as far as the Mendesian mouth of the Nile. The two commanders of the Persian forces could not agree on their strategy. As the time passed, the Nile rose and flooded the Delta area, making a march southward impossible. The Persians abandoned their efforts and left. The Egyptians had successfully turned back the Persians, with a little help from the Nile, and peace was reestablished. 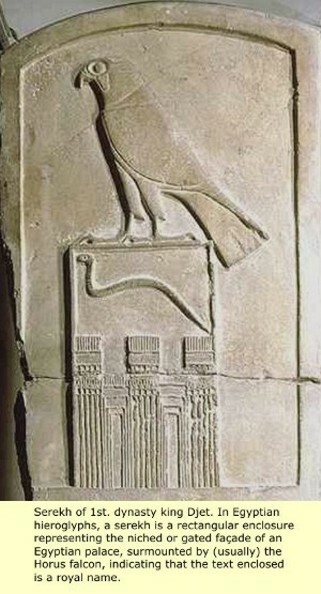 Nectanebo restored and built many monuments throughout Egypt. Nectanebo II, was the third and final ruler of the Thirtieth Dynasty. He became king after the previous ruler, his uncle "Teo", had campaigned into Phoenicia, which was then a Persian provence, while leaving behind Nectanebo's father Tjahapimu, as governor of the country. Well, Tjahapimu rebelled, and offered the throne to his son Nectanebo II, who was commanding Teo's troops in Phoenicia, some say Persian money was behind this intrigue. This turn of events left Teos little choice, and he fled to Persia, where he was given refuge, (the Persians felt that a former king would come in handy for the next attack), and Nectanebo returned to Egypt as Pharaoh. 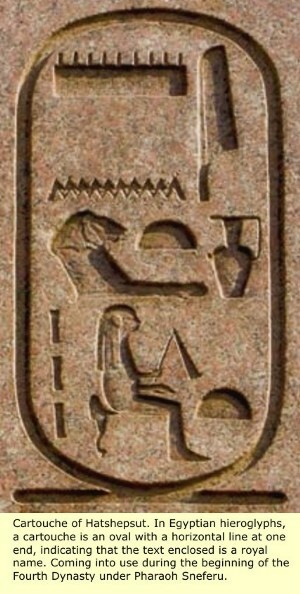 Nectanebo ruled for eighteen years, and built many monuments in Egypt. After the disaster with the Persians, he risked no further expeditions against the Levant states. However, Cyprus and Phoenicia were now fighting against the Persians, and they were assisted by some troops sent by Nectanebo II. Unfortunately, the Persian King Artaxerxes III, destroyed these troops and then moved against Egypt. Unlike the last Persian attack against Egypt, some thirty years before, this time the Nile flooding had already passed, and the Persian attack was made much more wisely than the last time, (when Nectanebo I was king). The Persian attack was made at three different points at the same time. Defeated, Nectanebo II retreated to Memphis, where he felt that he could make a stand against the Persians. But as city after city fell, all that he could do was gather up, as much of his possessions as he could, and flee to Nubia. Thus the Persian king, Artaxerxes III, makes Egypt once more a Persian province. Artaxerxes, after taking over all of Egypt, demolished the walls of the most important cities and plundered the shrines, he carried off a vast quantity of silver and gold. He also carried off the written records from the ancient temples, these were later returned to the Egyptian priests, on the payment of huge sums. Then after he had lavishly rewarded the Greeks, who had accompanied him on the campaign, each according to his just deserts, he dismissed them to their native lands. And then, after having installed one "Pherendates" as satrap of Egypt, he returned home with his army. And so things remained in Egypt, the Persians are lords of the land once more. That is until Alexander III of Macedon (356-323 B.C. ), better known to history as 'Alexander the Great'. Alexander is now at war with Persia, and after conquering Persia's naval bases all along the coastline of Asia Minor (Anatolia), and Phoenicia/Canaan, Alexander marched south into Egypt. Alexander's march into Egypt had a purpose. Egypt was essential to his future plans, he needed a strong coastal base for both military and commercial purposes. Egypt could provide ports, from which he could not only communicate across the Mediterranean, but from which he could also handle highly lucrative sea trade, which he wanted to divert from Phoenicia ports. With his naval force's following his progress down the coast, his Macedonian army covered the hazardous 130 mile distance in only a week, and he reached the heavily fortified coastal town of Pelusium, in late October 332 B.C. With his reputation going before him, Alexander was met by Egypt's Persian governor "Mazaces", who had no armed forces, and with the defeated king Darius' making a swift departure back east to Persia. Mazaces simply handed over the treasury's 800 talents and "all the royal furniture". In return he was kept on, as part of the new administration, which included the new governor Cleomenes. He was made responsible for finance, and later created the royal mint, around 331 B.C. After installing a garrison at the key defensive site of Pelusium, Alexander then ordered his fleet to sail up the Nile, to the traditional capital of Memphis (Ineb-hedj), where he himself would arrive by land at the head of his troops. While passing by the ancient religious site of Heliopolis (Iunu) with its vast white temples and obelisks, Egypt made an enormous impression on both the Macedonian troops and their 24-year-old leader. He had been brought-up with his mother Olympia's tales of Egyptian gods. The religiously-minded Alexander must have been completely dumbstruck in a land so steeped in ritual, where priests held enormous power, in temples not built to human scale. Alexander Passed by the great pyramids of Giza, still gleaming in their shining white limestone covers, he finally reached Memphis, to a genuinely rapturous reception. (That which appears to be steps or ridges on the surface of the Pyramids, are actually anchor points for the marble caps that originally covered the pyramids, the pyramids were originally smooth sided). Arabs later removed these marble caps for building material. By now, Greek travelers had actually been visiting Egypt for centuries, many of them setting up trading colonies or acting as mercenaries. Others such as the historian Herodotus and philosopher Plato, had came to study a culture they regarded with awe and as the cradle of civilization. Their acquired knowledge was certainly part of Alexander's education. But for almost 200 years, Egypt had been occupied by Persia, which had incorporated it into their growing empire. The Persian kings had ruled in absentia through a satrap, exploiting Egypt's vast grain reserves and taxing its people. The Persians showed relatively little respect for the ancient traditions of Egypt, and were deeply unpopular. The Egyptians had often rebelled, so parts of the country remained virtually independent. Alexander was therefore, hailed as Savior and Liberator, he was the people's choice and legitimate heir. 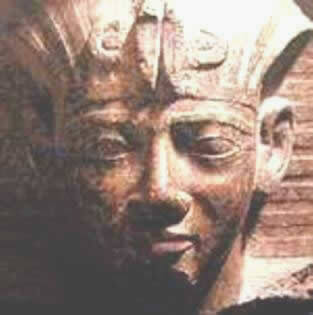 Alexander was given the double crown of the Two Lands, and anointed pharaoh, in Memphis on November 14, 332 B.C. The culmination of his coronation was the climactic moment when the high priest named him "son of the gods" this, according to traditions dating back almost 3,000 years. This title deeply affected him, and his mother Olympia's childhood references to him, as being the son of Zeus, must have filled his mind. Later there were relief scenes carved, of the king of the gods Amun ('Zeus'), impregnating selected queens with the heir to the throne, Alexander! [there has always been Hype]! In a world where the gods were perceived as living entities, and considered a part of everyday life, Alexander must now have began to believe in his own divinity, as a fact, rather than a simple exercise in propaganda. Always a devout man, who began each day with sacrifices to the gods, Alexander had no difficulty worshipping the Egyptian deities. Equating their gods with his own, he worshipped the Egyptian god Amun as a form of his god Zeus. At the Memphite necropolis of Sakkara, the new pharaoh offered sacrifices to the Apis bull, cult animal of the creator god Ptah. This was followed by games and literary contests in which performers from all over the Greek world took part in a multi-cultural extravaganza's. These kinds of events, mark the beginnings of Hellenism, in which there is an absorption of everything learnt by the ancients. Ever keen to discuss philosophy, which the Greeks believed to have originated in Egypt, Alexander attended lectures given by the Egyptian philosopher Psammon. Wholeheartedly agreeing with his teaching that "all men are ruled by god, because in every case that element "which imposes itself and achieves mastery is divine" (If you win, it must be because god wants it that way - victors rule again!). In the two months that he resided as 'living god' in the royal palace at Memphis, there studying Egyptian laws and customs at first hand, he gave orders for the restoration of the Egyptians' religious centers, including the great southern temples of Luxor and Karnak. In these restored temples, he appears in the company of the Egyptian gods, wearing traditional Egyptian regalia, including the rams horns of Amun, as worn by his pharaonic predecessors, including Amenhotep III. These images of Alexander were replicated all over Egypt, in both monumental statuary and delicate relief work, together with his Greek name translated into Egyptian hieroglyphs and enclosed by the royal cartouche. With Alexander's annexation of Egypt, Greek officials, soldiers, merchants and immigrants from Greece and elsewhere in Europe, poured into Egypt. This would greatly change the population demographic. Alexander laid the groundwork for the first European city in Egypt, Alexandria, before leaving the country. After his death, his body was returned and entombed there. Egypt would remain a Greek possession for the next three centuries, much to the betterment of Greece. The ancient Egyptian Kinglist is very fluid, as new attestations for previously unknown kings or Queens are discovered (such as newfound Serekhs or Cartouches), the list is updated. Chronological dates are educated guesses.